Meet FlowLink; the most versatile E-commerce integration platform around. Starting at just $100/month, you can now connect ANY store to ANY tool! Now you can connect your store to QuickBooks Online/ Desktop, Shopify, NetSuite, Salesforce, or any other back office tool covering accounting, CRM, shipping, inventory, Etc. 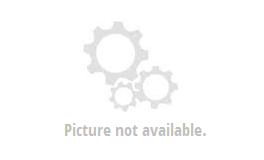 Do you have a back office tool that you rely on heavily but that doesn't talk to your store? Do you waste time with redundant data entries? Why? Now it can be done automatically! In addition to enabling a wide variety of integrations, FlowLink allows information sharing across all platforms, with no more repetitive data entry. The future of E-commerce integration is here! Welcome to FlowLink's exciting new partner program! We now have 3 partner levels, each with a list of your needs and our requirements, along with some enticing mutual benefits. 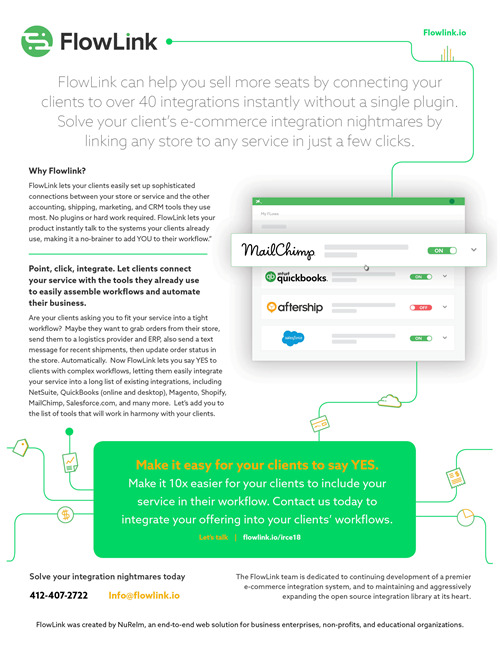 Agency Partners: FlowLink is on the hunt for creative marketing and Web development firms - primarily those with the ability to do "out-of-the-box" integrations. Free training and referrals provided. Channel Partners: FlowLink is seeking consultancies, accounting firms, and QuickBooks Pro Advisors in a revenue-sharing program that builds on their current skills. FlowLink offers web-based integration training to those who meet the program’s criteria. Strategic Partners: As a FlowLink strategic partner, your nationally recognized product will have (or get) a FlowLink integration and will become a part of the FlowLink integration ecosystem.